Rachel Radley is a Vaughan family lawyer specializing in divorce, child support, spousal support, custody and access, child protection and other family issues and disputes. The Radley Family Law team has years of experience in all aspects of family law and divorce litigation, and offers its services from its head offices in Vaughan, Ontario. During their time in business, Rachel Radley and the Radley Family Law team have earned a reputation for providing compassionate, caring, and capable legal representation for Ontarians in need. Through their years of service, the Radley team has come to understand the devastating financial and emotional toll that contentious legal disputes can have on a family. A competent family lawyer can help you resolve these issues in an efficient, effective manner so you can focus on moving on with your life. As a former attorney at Ontario’s Family Responsibility Office, Rachel Radley has an intimate and nuanced understanding of family law in the province, and leverages that expertise for the good of her clients. Residents of Vaughan who are need of an experienced Vaughan family lawyer can rest assured that Rachel Radley and her team will understand the subtleties of their case. 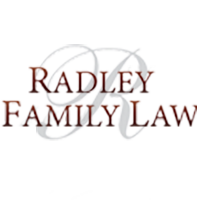 At Radley Family Law, each experienced Vaughan family lawyer specializes in a variety of areas, such as Vaughan child custody and access, spousal and child support, separation, divorce, property division, restraining orders, and pre-nuptial agreements. If you live in Ontario and need legal help to resolve a family issue, a member of the Radley Family Law team will be able to address your needs. Besides the death of a loved one, serious disputes among family members are often the most difficult occurrence an individual will experience in their life. Familial arguments can cause life-long rifts that impact many people. The team at Radley Family Law works not only to avoid such a scenario, but also to represent our clients and pursue their best interests. When you contact Radley Family Law, you will be connected with an experienced lawyer who has experience in your particular area of concern. That lawyer’s goal will be to help you navigate and share the burden of the legal process, giving you more time and energy to focus on moving forward with your life. Family lawyers have a responsibility to understand the unique stresses of processes like separation, divorce, division of property, and custody and support disputes. The Radley team will be by your side throughout this difficult process to offer effective guidance, strong representation, and compassionate advice. The Vaughan family lawyers at Radley Family Law are proud to offer free consultations for every client. Call us today at 905-669-2109 or reach us through the online form below to set up your appointment. Each Vaughan Divorce and family lawyer at Radley Family Law is prepared to help you through this difficult period of your life. Rachel Radley’s head offices are located in Vaughan, and serve clients from around Ontario.